I used to wear knee socks as part of my Catholic school uniform, so for a long time, most of my memories of them involved navy blue plaid skirts and nuns yelling at a classroom. Not that great! So I’m happy to report that knee socks have made something of a comeback, and they not look pretty amazing when worn with an outfit that is not a uniform. 1. 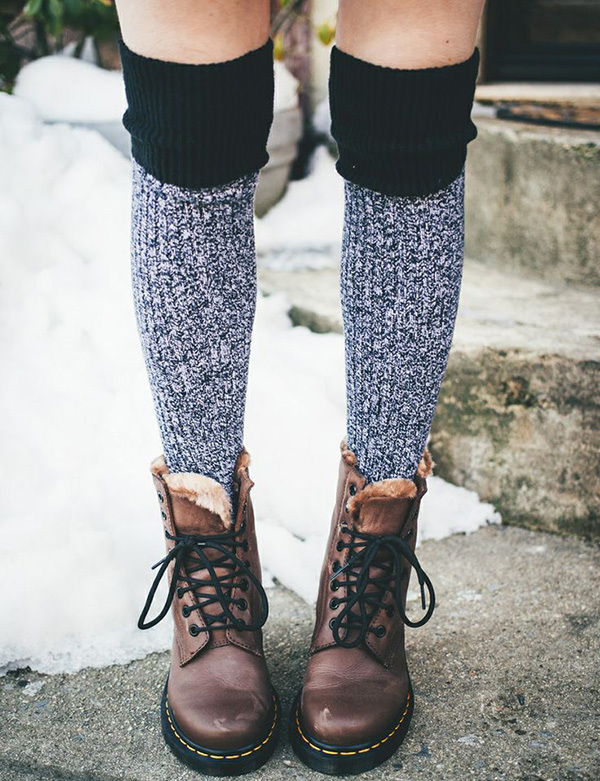 Layer your knee socks over leggings and under tall boots – the socks look so cute peeking out of the top. 2. 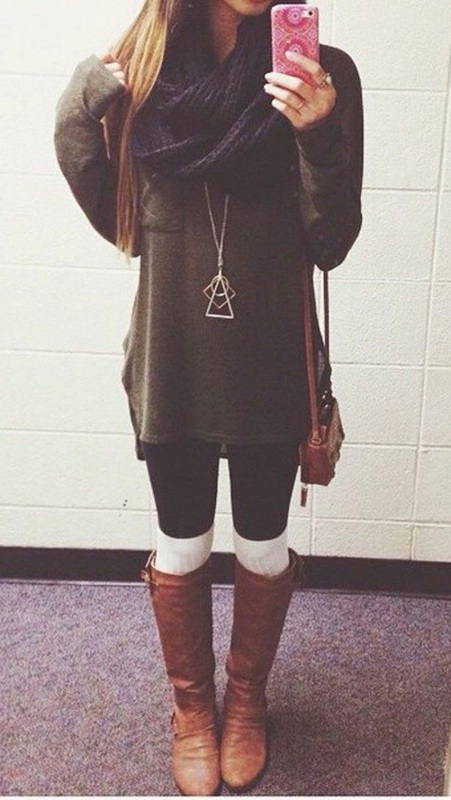 You can also layer your knee socks over tights – when it’s really cold, tights alone just don’t cut it. 3. 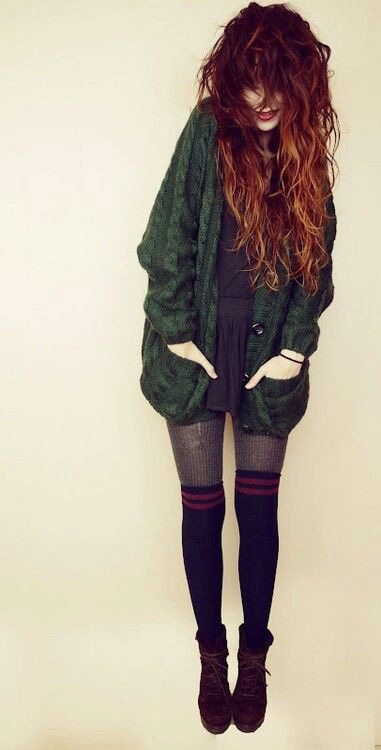 Wear your knee socks with ankle boots, a dress, a scarf, and a cozy cardigan for the perfect autumn look. 4. Go for the Clueless vibes with a plaid skirt and a blazer. Adding combat boots toughens up the look. 5. Knit knee socks and a blazer make a floral dress work for colder weather. 6. Those who enjoy warmer weather year-round can wear knee socks with denim shorts and cute boots. 7. Add Mary-Jane shoes and a vintage inspired dress for an ultra feminine vibe. 8. Stay warm and dry on rainy days by wearing knee socks under your rain boots. 9. 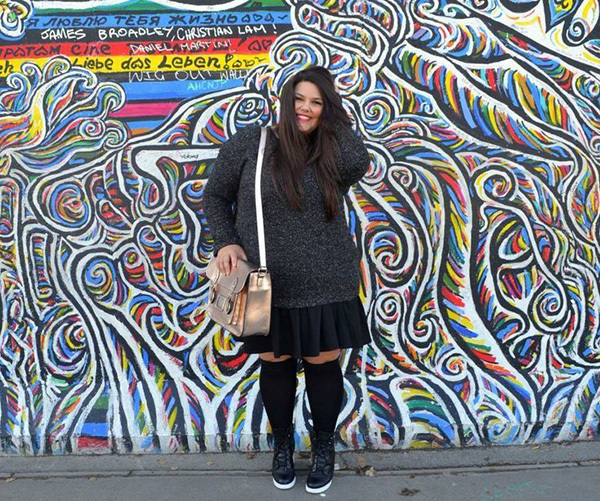 Do a ’90s look with a cropped sweater, mini skirt, knee socks, and chunky shoes. 10. Instead of boots or heels, wear your knee socks with sneakers and stay comfy. 11. Or you can opt for Oxford shoes and a simple dress. 12. 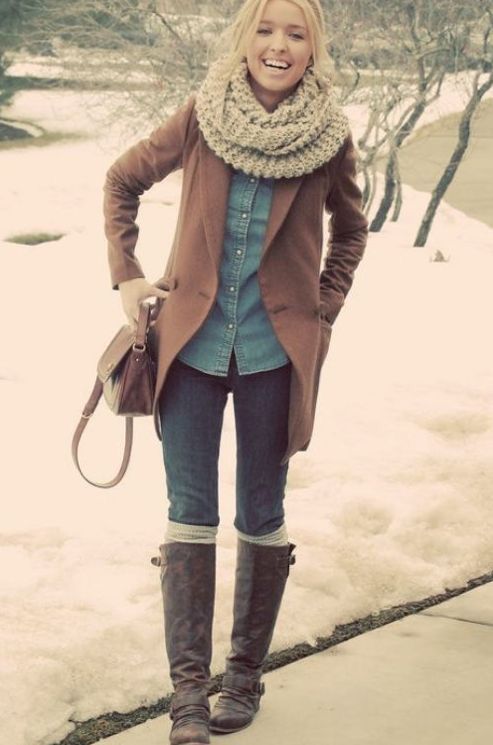 Knee socks can also be layered over jeans to stay extra warm. 13. Instead of tall boots, wear your knee socks with ankle boots. 14. 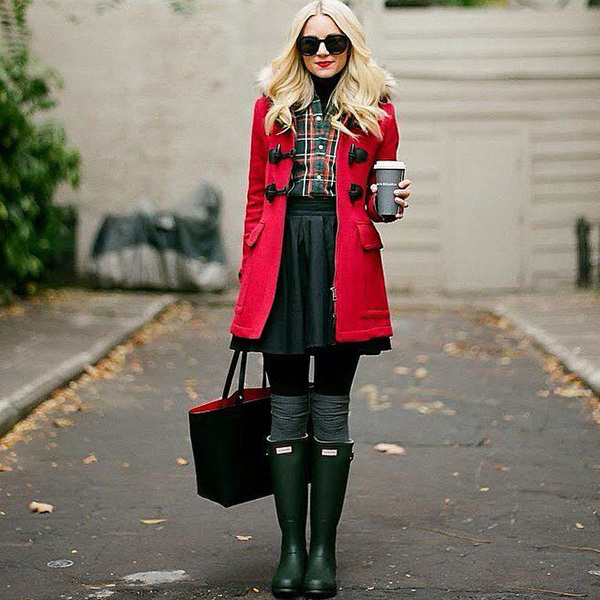 Knee socks under boots automatically make your outfit look cozier and more put together. 15. Try wearing your knee socks over patterned tights for a more fun look. 16. Home doing nothing? Skip the pants and just wear a pair of knit knee socks and an oversized sweater. 17. If you’re not that into the look, scrunch your knee socks down around your ankles. 18. A skirt works for winter when you add knee socks and a warm sweater. 19. Look for two-tone knee socks for something different – and don’t stress about matching colors! 20. Make a feminine dress even prettier with knee socks and a floppy hat.